I did it, friends! 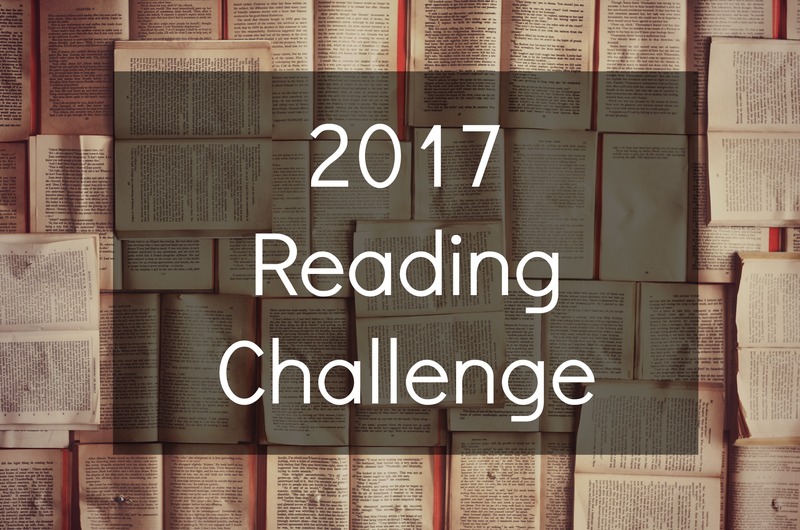 I successfully completed my 2017 Reading Challenge on Goodreads! This year I challenged myself to read 35 new books, and finished in record time. I didn’t think I could do it, but here we are again. Now, for the third year in a row, I’m going to challenge myself to write one-sentence reviews all of 35 new books I read (so far) this year! I can’t promise that these will be well-written sentences, but if you’re looking for something new to read this Fall, check out my list below. And if something catches your eye but my one-liner doesn’t convince you to check it out, let me know and I can give you a full review. This was more of a coming-of age story than the Spider-Man adventure I was hoping for. In this story the main character, August, reflects back on childhood memories of growing up in Brooklyn in the 1970s after her mother passes away. My wonderful boyfriend got me this book for Christmas because it was his favourite childhood story, and it proved to be as magical as he said it would be. Neil Gaiman sure knows how to write terrifying stories for kids. READ THIS GRAPHIC NOVEL IF YOU ARE A HARD-CORE LADY-TYPE! This was the first book from Emma Watson’s Our Shared Shelf book club that I read and it was amazing. Magic, witchcraft, tea shops, girl power – what more can you want in a book? Aziz’s Modern Romance is about 25% comedy and 75% serious research, but it was one of the most entertaining books I read this year. This book is the second installment in Schwab’s Shades of Magic trilogy and it’s just as amazing as the first (which I read last year!). This book is the final piece to the Shades of Magic trilogy, and it made me cry because it’s so good. A harrowing look into a piece of Canadian history that is too often ignored. A House in the Sky tells the inspiring story of how Lindhout survived being kidnapped and held hostage in Somali for 460 days. When Katie finds some magical mushrooms in her bedroom she tries to fix her past mistakes, but it doesn’t work out exactly as planned. If you want to read about how an ambitious chocolatier indirectly wrecks havoc on a small Catholic town during Lent, this is the book for you. One woman’s decision to stop eating meat has a disturbing ripple effect throughout her entire family. This thriller focuses on a missing baby and secrets that only the couple next door know about. This was hands-down my favourite thriller to date because it’s written backwards. If you want to read a story reminiscent of The Night Circus, this book is for you. This story, which takes place in Kansas, centres around a supposed Satanic Sacrifice that leaves Libby Day orphaned, and her brother behind bars. This post-apocalyptic story follows five different characters, and explores how they live after a deadly virus takes out the majority of the population. This story is based off of the image of a girl in a painting, and brings her story to life in a beautiful way. One dude decided to eat his way through every pizza joint in Manhattan and wrote about it. Yes, this is technically a children’s book, but it still made me cry in bed and I think everyone should read it. When Richard Mayhew finds himself in London Below, also known as the Underside, he’s cast into a whirlwind adventure with assassins, angels, rats, magic, and a not-so-innocent girl named Door. Kate Bolick talks a lot about her quest to become an independent single lady, and all of her role models who have inspired her along the way. This book is supposed to be a guide on how to raise a feminist daughter, but honestly, everyone should read it as a guide on how to be a better person. When you get too involved with the Faerie Market, wild adventures ensue. This was my favourite book of the summer, and I will tell anyone who will listen to me to give Eleanor a chance! This book took me almost five months to get through and I just ended up disappointed. This is the sci-fi classic that Blade Runner is based on, and yes, the book is better than the movie. Scaachi Koul’s essay collection is hilarious, but it also provides a important narrative on hard-hitting topics such as sexism and racism. This story is supposed to embody classic gothic/horror stories — Frankenstein, Dracula, and Dr. Jeckyll & Mr. Hyde — but it falls incredibly short.